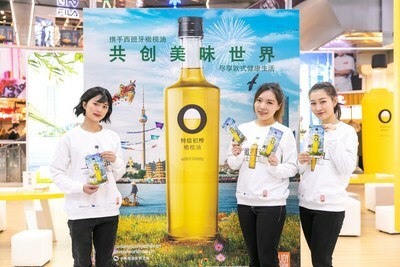 Olive Oils from Spain and the European Union continue with their promotional campaign the “Olive Oil World Tour” which presented in Beijing last September. This time they have chosen the cosmopolitan city of Shanghai to perform a special display at the SML Shopping Center B2 Courtyard, located in the Huangpu district of the city. The organization has more than two years ahead to continue carrying its campaign “Let’s Make a Tastier World” to Asian consumers and invite them to discover the benefits of Olive Oils, which are an emblem of European excellence. It will be implemented mainly at airports, train stations and shopping centers in the main cities of three continents: Asia, America and Europe. In Asia, it is estimated that more than 2,100 million impacts will be reached throughout the campaign.